Virtual reality is a technology in which real-life environment or situation or recreated using computers. It stimulates the vision and hearing of the user and gets immersed. Virtual reality use for gaming, entertainment, etc. and it is a marketing innovation which is on the rise and is the best content consumption channel. Using virtual reality in digital advertising proved to increase engagement. And marketers are going to introduce Virtual reality video into their marketing strategy in the coming months. Where does VR video fit into 2019? VR videos used in many sectors including that of travel. VR is used to add entertainment to long flights, virtual exploration of cities, VR tour of hotel rooms during booking, etc. In education, 3D versions of course material used. Students engaged in the virtual field trips. In medicine, VR is useful for long distance surgery and to train surgeons and doctors on virtual patients. In space travel, humans and also robots trained for low gravity environments in VR. People are getting used to taking for granted the digital technology, and one of the innovations that can still inspire the consumers is the virtual reality. The virtual video is capable of making the significant impact on some sectors. In digital marketing, it is becoming a big challenge for brands to stand out and reach the targeted audience. 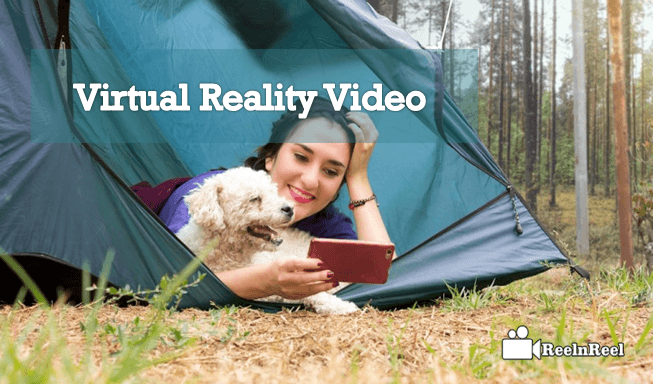 Virtual reality is an efficient way for brands to tell their stories and engage the audience. A personal connection with the brand is possible with the type of technology. Marketing especially using virtual reality can help the travel industry. The users will put on the headset and teleported to exotic destinations. Virtual reality helps in selling the travel package. Virtual reality videos would also benefit the automotive industry marketing. The videos can take the user virtually behind the car for test driving. Video in marketing is on the rise and is the number one content consumption channel. Using interactive video intent is the next step from the video, and this provides interactive customer experience. Travel sector is already using the virtual reality videos to show their exotic holiday scenery or the flights, and this is helping to convert the users. Now it is the turn of the retail and real-estate sector to use more virtual reality videos for their business. Use of virtual reality is the most engaging way for marketers to reach their audience quickly, efficiently and this is very interactive too. However, there is the requirement of devices to experience virtual reality videos which makes it harder to reach potential customers. VR is going to revolutionize the business in many ways. The headsets reached to offices, malls, medical units and various other places. The technology is going to change the forms of marketing and advertising. This is how VR video is going to make the future exciting and profitable for the businesses and customers. The gaming experience with headsets such as Oculus Rift of Facebook is going to be fascinating and impressive. When it comes to entertainment, the audience can see the action happening from different angles and feel the things running on the screen. The 9D and 12D shows are going to change the movie watching forever. Users can take the advantages of virtual reality videos to feel the pleasure of being at the places they wish to visit through remote tours to museums. Virtual reality experts are now experimenting to satisfy the other senses of users apart from eyes and ears. There are predictions that upcoming gadgets are going to treat the nose and skin of the user also with smell and touch. The next stage of virtual reality is going to be total sensory immersion. The future of e-commerce is also going to revolve around VR. Consumers will try the clothing and other products before they buy them. Virtual reality is used by the brands in marketing in the right direction. Virtual reality videos will delight and convince the users to buy the product of the service. VR helps to connect the audience with new possibilities. Use of virtual reality videos for business is increasing, and the consumers are amazed by the whole experience. The VR devices, however, are not cheap. Most popular devices dominating the VR headset market now are the Oculus VR, Playstation VR, Vive, Samsung Gear VR and Google Daydream. New headsets and goggles are coming soon giving more options for the consumers. It expected that the sale of virtual reality headsets would grow to around twenty million in 2019. The new companies trying to have their place in the market are the Zeiss VR one plus, Razer OSVR Hacker Development Kit, Fove VR, Lenovo with its VR headset costing $300, Pico Technology, Dell VR headset, Acer VR headset and Sixa Rivvr. Virtual Reality is evolving, but slowly, this is because it needs specialized equipment. Marketers are most quick to adopt any new technology to take their products and services to the customers. Virtual reality is a form of immersion that can provide the advantage of engaging the audience. The audience expects interactive advertisement and marketers should opt for virtual reality to keep the attention of their targeted consumers and ultimate make the sale.